It’s 2016, and Apple’s mysterious, oft-buzzed about car project is still tucked away under the “ideas that may or may not happen in this lifetime” section of the company’s filing cabinet. Despite a powerful rumor mill—former Apple board member Mickey Drexler once claimed it was Steve Jobs’ “dream” to make an iCar, and reports have repeatedly materialized over the years that Apple was in various stages of building its own vehicle—we’re still waiting, and the will-they-or-won’t-they nature of the project has us asking if we’ll ever see the vehicular version of Sasquatch. But a handful of recent reports featuring big-name hires and new plans have nudged the car rumors back into view, and now we’re yet again left wondering what the hell Apple is up to. 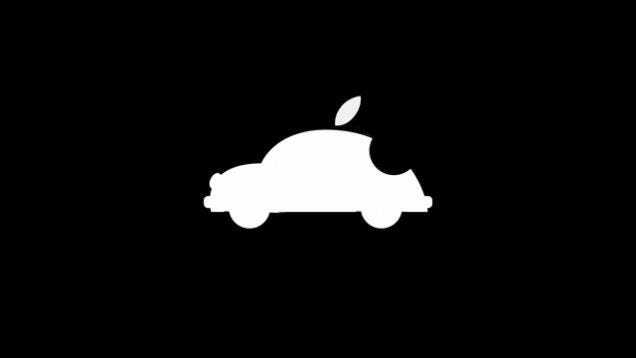 So, what’s really going on with the mythical Apple car? On the surface, hiring someone with a track record like Mansfield’s seems like a fairly good indication that Apple is getting serious about its car. But as Wakabayashi writes, “his involvement isn’t necessarily a sign that the car project is ready to move forward at an accelerated rate,” as he’s shut down other projects before. It may simply be a sign that Apple wants someone to come in and clean up what’s reportedly a pretty messy operation. Meanwhile, Bloomberg’s Mark Gurman and Alex Webb reported yesterday that Apple has also hired Blackberry’s Dan Dodge to work under Mansfield. Dodge co-founded QNX, which makes the “entertainment, navigation and connected-device system used by Volkswagen AG, Daimler AG, Ford Motor Co. and others,” according to Bloomberg. QNX was acquired by Blackberry in 2010. According to one of Gurman and Webb’s sources, bringing on both Dodge and Mansfield is a signal that Apple is moving away from its original plan—building a vehicle—and toward one that puts self-driving software in the spotlight. Though it doesn’t appear at this point that the company has completely eliminated plans to build its own vehicle, the switch in industry attention to autonomous technology opens up a space for Apple that didn’t necessarily exist before. The shift in focus might not be a bad thing, either. Project Titan—which, it should be noted, has never been officially confirmed by Apple—has reportedly seen its fair share of problems. In January, Titan boss Steve Zadesky left the company, and the project found itself in the middle or a hiring freeze, according to reports at the time. Meanwhile, The Information recently claimed that the car’s original 2019 ship date had been pushed back to 2021—that is, if a car is even in the works anymore at all. Recent reports have pointed to Apple’s increase in R&D spending as a sign it might finally be preparing to unleash some sort of car-related project, and last year, a few minivans outfitted with LIDAR and cameras were spotted in New York and California. One of the license plates was registered to Apple, which prompted a wave of cries that finally, here was proof of the car! As Jalopnik pointed out, however, the minivans were more likely part of the Apple Maps operation. This type of frothy excitement isn’t uncommon. Motor Trend ran a big “exclusive” on the Apple car in April that simply turned out to be a bunch of mockups of what the car might look like. Other evidence put forth has been equally—that is to say extremely—speculative. Which brings us to an important point: Exciting and impressive rumors are still rumors, and the Apple car is a prime example. In May, Apple invested $1 billion in Didi Chuxing, a Chinese ride-hailing service. Tim Cook told Reuters the move was made partially to “learn more about certain segments of the China market.” But crucially, he added that it was also done because “we believe it will deliver a strong return for our invested capital over time as well.” Is the subtext an entry point into the big, buzzy world of transportation? Maybe. Competitors like Google are already eager to make a dent in the market, and newcomers like Uber, Tesla, and Lyft are all trying to bridge the gap between the technology and automotive industries. It’s coming from the other side, too: Even automobile behemoths like Chrysler are getting in on the action. In January, Cook envisioned a “massive change in the industry” thanks to the rise of self-driving cars. At this stage in the game, if Apple doesn’t get in on the action itself, it doesn’t bode well for the future. In April, the company posted its worst quarterly results in 13 years. Buried within that revenue decline was the news that iPhone sales have slowed down—it recorded shipments of roughly 50 million iPhones, versus 61 million last year. The iPhone is Apple’s flagship product, and if sales continue to stagnate, it’s going to need to find a fresher cash cow. We’ll have to wait and see if the iCar—or whatever the company decides to call its mythical product—ends up filling the void. For now, at least, the rumors are back in full swing.